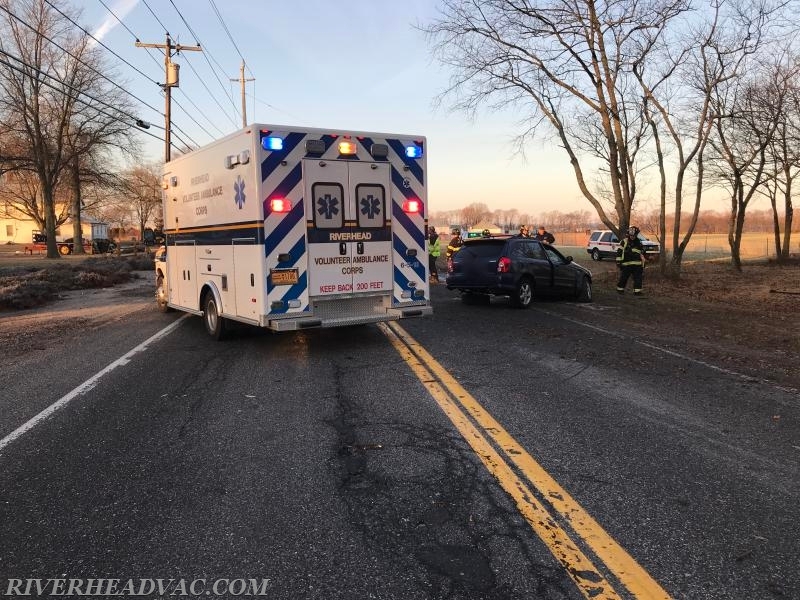 Icy Roads Cause Early Morning Accident - Riverhead Volunteer Ambulance Corps, Inc.
On the morning of January 27th, Riverhead Ambulance and the Jamesport Fire Department were dispatched to a single vehicle accident. Upon arrival of Lieutenant James Alfano, it was discovered that a single vehicle had struck a tree and the driver was trapped within. Jamesport Fire Department extricated the driver from the vehicle and they were transported to the hospital with non life threatening injuries.